B & H Engineering, P.C. has furnished construction inspection services, as a prime consultant, to the New York City Department of Transportation for the Reconstruction of 11th Avenue bridge over Long Island Railroad and New York City Transit Authority at 61st Street in Brooklyn, New York. The existing two lanes, five spans concrete encased steel superstructure was replaced with a new steel and concrete composite structure. Rehabilitation was also included reconstruction of abutments, piers, approaches, sidewalks, and utilities. This bridge crosses New York City Transit Authority subway tracks for the Sea Beach Line and one Long Island Railroad freight track servicing the waterfront. The construction inspection services consisted of providing field inspection; monitoring work zone traffic control and safety; coordination with NYCDOT agencies, other contractors, and utility companies; reviewing contractor's schedule, equipment, and staffing; monitoring contractor's EEO requirements; conducting wage rate interviews; processing payments and change orders; and maintaining office records. 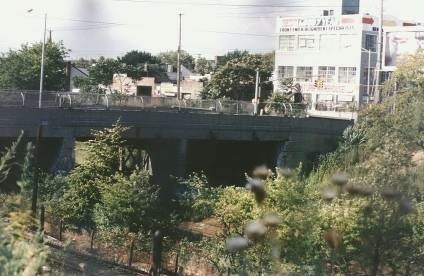 The assignment included demolition and removal of existing superstructure, partial demolition and reconstruction of abutments and piers; installation of bearings; reconstruction of roadway approaches; new structural steel; concrete overlay, deck, parapets, and sidewalks; removal and installation of gas mains; Con Edison electrical ducts; street lighting, traffic signs, and drainage work.